Lucy’s Children’s Fund is a not-for-profit corporation set up in the State of Illinois. It qualifies as a 501(c)(3) tax exempt organization under IRS rules and regulations. Consequently, donations to Lucy’s Children’s Fund are tax deductible. Also, as required by the IRS, all contributions from Lucy’s Children’s Funds must be to other IRS qualified not-for-profit corporations. As required by law, we have a Board of Directors which consists of some of Lucy Bieszczat’s children and grandchildren. Individuals and families wishing to set up a similar IRS approved not-for-profit corporation need to work with an attorney or certified public accountant familiar with the laws and processes. have helped us make financial grants to the many organizations listed elsewhere on this website which help needy children locally, nationally, and internationally. Lucy’s Children’s Fund was created to give current and future generations of our family the opportunity to work together and pass on a culture of caring and giving. Preserving and continuing that culture through a family foundation strengthens our connection as a family and inspires in each of us a greater drive to serve the common good – and it can do the same for your family as well. Lucy’s Children’s Fund is named for Lucy Bieszczat. She and her husband Frank had ten children. They were married in 1939. Both were high school graduates. Frank was a tool and die maker and Lucy, when she did work out of the home, was a bookkeeper. Both were good and faith-filled people who believed very strongly that every child and every person should be treated with respect and with love. Frank died in 1984 and Lucy died in 1998. 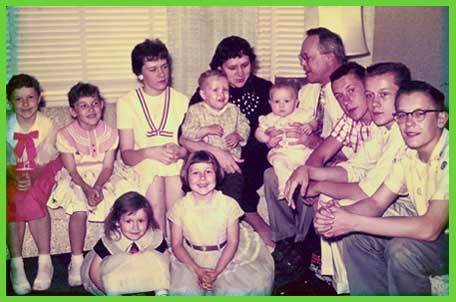 Both Lucy and Frank worked hard to see that all of their children had as many opportunities as possible to prepare and improve themselves to live healthy, happy, and productive lives. Lucy’s Children’s Fund is set up to extend those opportunities to other children who are not as fortunate as we have been, due in large part to the example, love, and support we received from Lucy and Frank.